It will now contest both the Victorian election on 24 November and the NSW election on 23 March, 2019. Importantly, local government elections in NSW and Victoria also now become possible. The party says that a big focus for its state and local government campaigns will be better planning to stop overdevelopment. 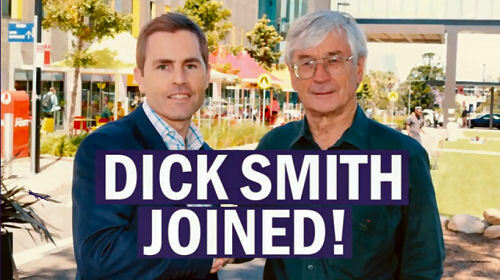 It intends also to contest a federal election between August 2018 and May 2019, not to mention the current Perth by-election where Colin Scott is working very hard with the support of a dedicated local team. "It's the first time we have run the Sustainable Australia brand in WA so we are effectively re-booting the party there," says William Burke, the President of Sustainable Australia Party. He adds that the last 12 months has been dominated by these huge registration projects that have taken many hundreds of hours of work by a very small and mainly part-time HQ team, with the support of our volunteer state committees. He thanks everyone that helped, including the 500+ Victorian members and 750+ NSW members that returned the manual forms that were needed to register.